RIB US as a company often aligns itself with like-minded businesses at the forefront of industry trends. 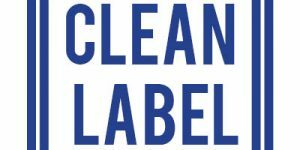 As the demand for clean label continues to grow, the more important it is to discuss and offer solutions. RIBUS’ all natural, organic rice ingredients make it easier than ever to replace synthetics in formulations, which results in cleaner labels. Below, please find links to two watch past clean label webinars we participated in with Capsugel! Have a webinar you think our team would like to participate in or hear about? Contact our team here! “With today’s consumer demanding transparency through a cleaner label, they want clear knowledge and understanding of the ingredients they are consuming. Supplement suppliers make choices during product development that ultimately affect the final product label. There are market ready solutions available to capture this market trend. “The clean label trend has become a major consumer demand. Starting with food, it has translated quickly to the nutritional arena. What does it mean for marketers and manufacturers, and how can they benefit?